The Senior Circuit Steward of Hereford has been a member for thirty-six years, and a local preacher for thirty years. He is one of the most generous of men. “Get all you can and keep it when you have got it,” is certainly not an article in his creed. He has received nearly all the honours the Circuit and District could bestow. On many occasions he has represented the Circuit in the District Synod and has twice been elected delegate to Conference. He is District Mission Treasurer. Mr King has been President of the Hereford, Gloucester, and Monmouth Sunday School Union, and president of the Hereford Free Church Council. By perseverance he has risen to the first rank of sculptors. He is a most loyal Primitive Methodist, and yet is held in the highest esteem by the churchmen of the city. Honourable mention of him is made in Kendall’s History of our Church. 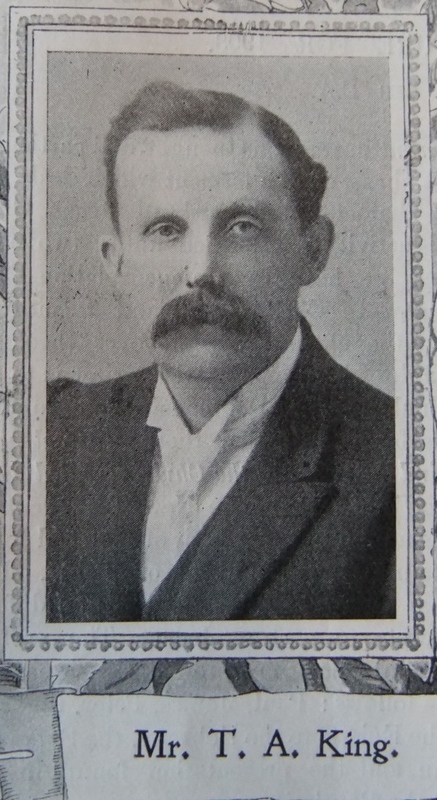 Thomas was born abt 1858 at Kingstone, Herefordshire to parents William and Elizabeth. William worked the land and was also a local preacher. The 1881 census identifies Thomas as a monumental sculptor employing three men and a boy. Thomas married Mary Jane Harper (1859-1942) in the summer of 1877 at Hereford, Herefordshire. Census returns identify three of four children. 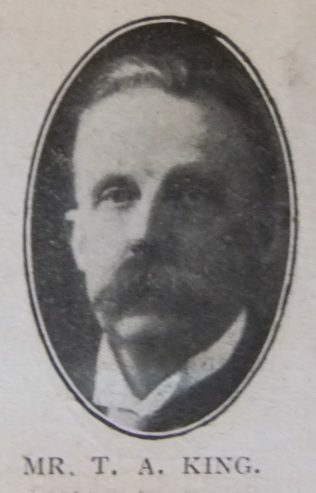 Thomas died on 20 April 1926 at Hereford, Herefordshire.